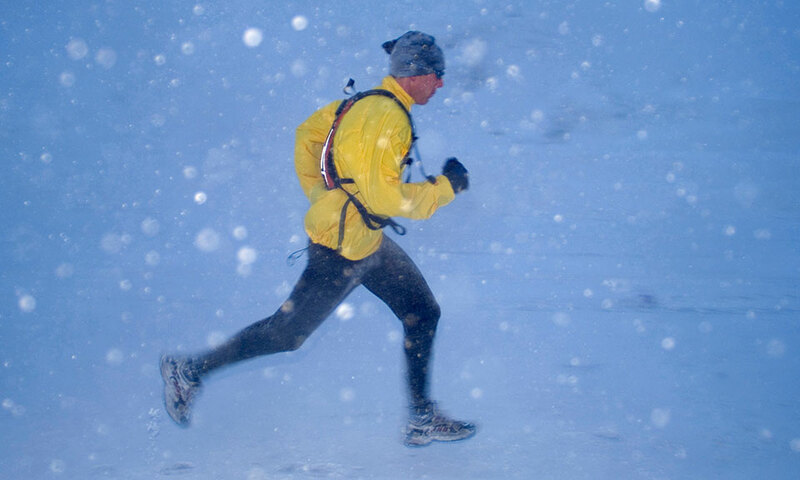 Running in the snow divides runners into two camps: those who say "You can't run in that!" and those who keep on running, albeit with a few minor route or training schedule adjustments. If you're in the first camp, here are a few tips to help you safely move into the second. Don't assume you can go straight out and run at your usual pace. Fresh snow is usually pretty safe to run on, but take it easy, especially the first few minutes. This will allow you to get a feel for under-foot conditions and build your confidence. Take smaller steps and look out for patches of ice under the snow. 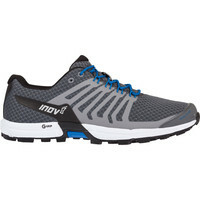 Choose shoes with a grippy outsole: trail running shoes are ideal, or if you're running off road you could look at fell running shoes for even more grip. These will ensure your feet don't turn blue mid-run. 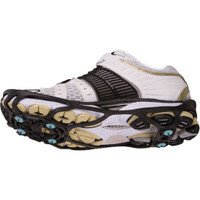 Many of our selection of trail running shoes have waterproof or water-resistant uppers. Gore Windstopper fabric is highly water-resistant, windproof and breathable. It might be obvious to wear a water-resistant or waterproof jacket in the snow, but did you know you can get other items with Windstopper panels in them? 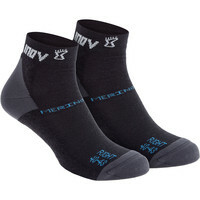 These can help you stay drier and more comfortable in snow or heavy rain. These clever gadgets will fit over your regular shoes and have little spikes on the bottom, giving great grip on icy pavements. If possible, head for somewhere off-road; trails and grass are less likely to be icy under the snow. Be prepared to run loops; it might sound tedious doing eight laps of a park for your long run, but you'll become familiar with conditions under foot and will be closer to home if you want or need to cut your run short. Golf courses are a good option: lots of grass, maybe a hill or two and not a golfer in sight! 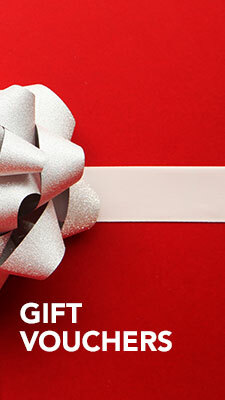 Think about carrying your phone or some money as an added safety precaution. Just because you have to alter your training for a week or so doesn't mean your fitness will disappear. You might not be able to do your usual speed workouts, but if you're inventive enough you can still get the training in, even if you have to resort to indoor options! Take a spin class, go for a swim, head to a treadmill or elliptical trainer in the gym. 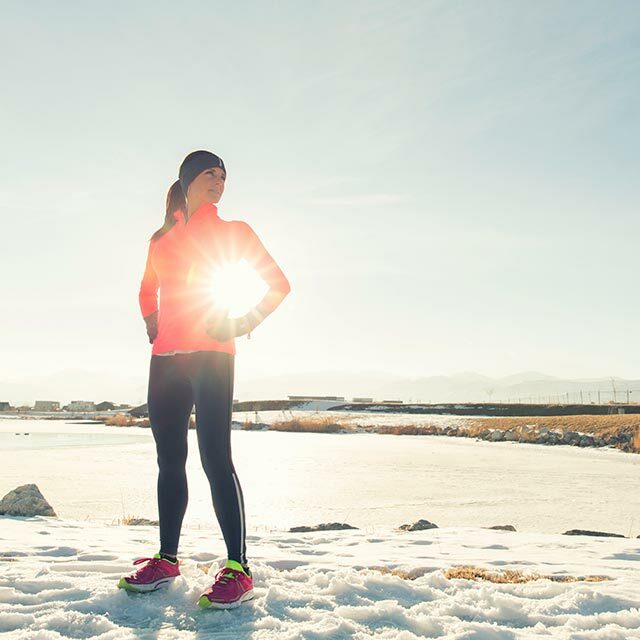 Because snow is soft, you're also getting more resistance than usual, so even if you don't feel you're running as hard in it, you'll be building strength. 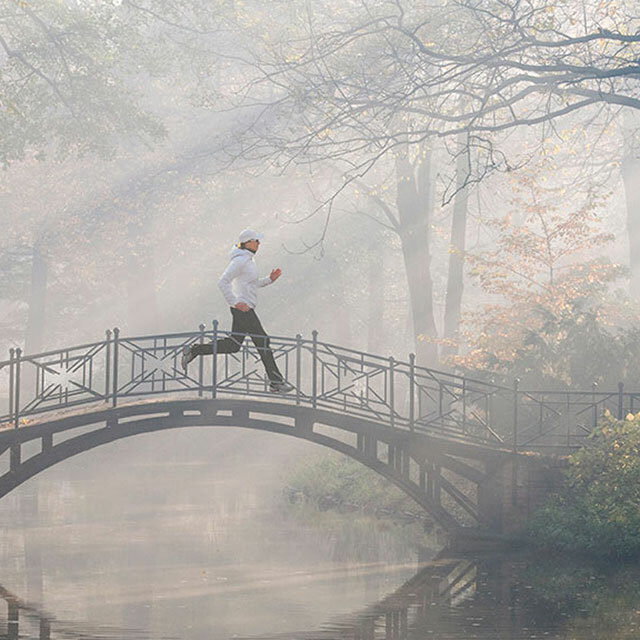 For many people, one of the joys of running outside is being in nature and embracing the elements, whatever they throw at you. It's often through running that most runners notice the seasons changing, so take time to look around and appreciate how different everything looks. If all else fails, go sledging – if you jog back up the hill you'll still get a bit of a workout in!